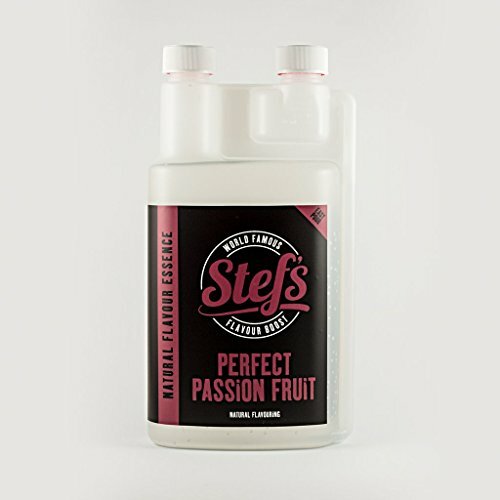 Stef has been creating world class food flavourings for over 20 years and these potent taste experiences are used by professional bakers master chefs cooks chocolatiers and mixologists world wide. Usage instructions: Six drops is usually the equivalent to a teaspoon of fresh ingredient. Use in most food or drink and adjust to your preferred taste be careful though as a little goes a long way! Shake well before use. Store in a cool dark place. For best results use within 3 months of opening. Ingredients: Natural flavouring propolene glycol. Suitable for vegans. No gluten nuts dairy soya or animal products. Keep out of reach of children. Avoid contact with eyes and skin. If you have any questions about this product by Stef Chef, contact us by completing and submitting the form below. If you are looking for a specif part number, please include it with your message.